The most comprehensive reference for triathletes ever written has just been updated and improved. The Triathlete's Training Bible, just released in a completely revised third edition, will make you a smarter, stronger, faster triathlete. The book is available now in bookstores, bike and tri shops, and online. The Triathlete's Training Bible is based on coach Joe Friel's proven, science-based methodology and his 28 years of experience equipping hundreds of thousands of triathletes for success in the sport. The Triathlete's Training Bible provides triathletes of all abilities with every detail they must consider when planning a season, lining up a week of workouts, or preparing for race day. Using this comprehensive guide, triathletes will develop a personalized, self-coached training plan that will guide them to success in the sport. This third edition of The Triathlete's Training Bible includes new approaches to critical elements of triathlon training. Triathletes will learn new methods for strength training and building muscular endurance, balancing intensity and volume, smarter recovery and fatigue management, active recovery from injury, making up for missed workouts and avoiding overtraining, and body composition and nutrition. Friel offers triathletes strategies to adapt their training plan throughout the season when things don't go as planned. The Triathlete's Training Bible is now printed in a 2-color format, making the illustrations, charts, and tables more clear and easy to read. With over 200,000 copies sold, The Triathlete's Training Bible is the best-selling book on tri training ever published. This new edition comes amidst explosive growth in the sport of triathlon, which is the fastest-growing endurance sport in the world. Since 2005, American participation in triathlon has grown 22% each year. Triathlon is now one of the largest sports in the U.S. Olympic family. Major national media have taken notice of triathlon's growing popularity; in 2008 the New York Times published 23 stories about triathlon. Triathlon is becoming increasingly accessible to the average American. There were over 2,000 sanctioned races in 2007, a 14% increase over the previous year. One-third of these races were sprint triathlons, the shortest distance and the most friendly to beginner triathletes. Even the Ironman®-distance race format is growing quickly, and The Triathlete's Training Bible and Going Long: Training for Ironman-Distance Triathlons (VeloPress 2009) have made completing the 2.4-mile swim, 112-mile bike, and marathon run achievable. There are now 17 Iron-distance races in the U.S. and 21 Ironman® triathlons and 32 half-Iron triathlons around the world. 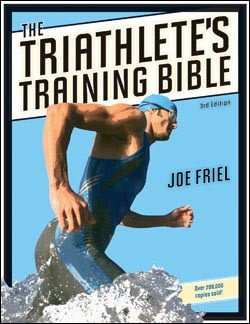 Joe Friel's Training Bible Coaching company is one of the most respected and successful in endurance sports. Joe has been training endurance athletes since 1980, including national champions, world championship contenders, and Olympic athletes in road cycling, mountain biking, triathlon, and duathlon. Joe is an elite certified USA Triathlon and USA Cycling coach and holds a master's degree in exercise science. His articles and interviews appear in dozens of national and international magazines, newspapers, and websites. Joe founded Ultrafit, an association of coaching businesses, Training Peaks, a web-based software company, and Training Bible Coaching. Please visit trainingbible.com for more information. VeloPress is an endurance sports and fitness publisher known for its technical training books on cycling, triathlon, and running. VeloPress is the book publishing division of Competitor Group, Inc., publisher of VeloNews, Triathlete, Inside Triathlon, and Competitor magazines and producer of Elite Racing's Rock 'n' Roll marathons and half-marathons and the Muddy Buddy adventure series.